The results of a 50-year-long study conducted by the University of Nebraska-Lincoln reveal the effects synthetic fertilizer has on the sustainability of soil health over time. According to the findings, synthetic fertilizers failed to enhance soil aggregate stability, which hampered the natural soil structure and nutrient absorption. 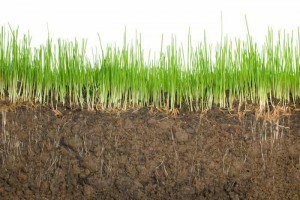 An article from CropLife highlighted the study’s findings and reported that the company Bio S.I. Technology has developed a formula that will deliver “microbial communities back into the earth to naturally improve soil structure.” The intent of the formula is reportedly to maximize the effect of natural fertilizer on soil health without sending harmful chemicals in the soil or surrounding environment. According to CropLife, soil has its own natural process of recycling nutrients such as healthy bacteria that defends against pests and disease while strengthening the soil’s capacity to grow strong, deep roots. Based on the study results, CropLife reported that while synthetic fertilizer can provide short-term benefits to soil health and plant life, in the long term it prevents the natural nutrient recycling process from occurring and fails to enhance a sustainable soil structure.